I don’t like that AP has given credence to the “singular they” phenomenon. It will just confuse things for people attempting to learn correct grammar. I change everything to plural when there’s a question of gender. Changing the whole sentence to plural definitely works in most cases. Thanks for sharing. I could not disagree more with this new AP guideline. As your examples point out, a proficient writer almost always can find a way to rewrite a sentence to achieve noun/pronoun agreement. 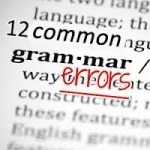 I encourage writers to take the time and effort to follow conventional grammar guidelines. The English language suffers enough from careless use of words — and punctuation. Unclear communication is the result. We all can achieve gender-neutral writing without flouting standard American English. Amen, sister. Our language definitely suffers from careless use of words – unnecessarily. Thanks for weighing in.